Hey folks! We are back again with some innovative and easy tips to follow for our beauty. 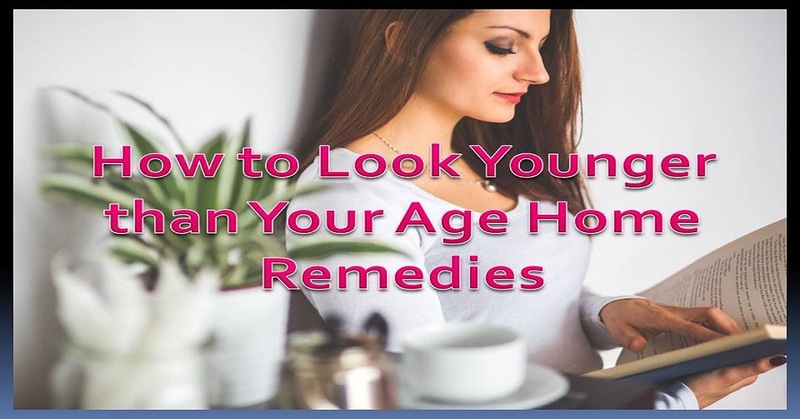 Let's get into our topic.How to look younger than your age.Many of us are fitness freak till we are in our 20's but when we round up with our family responsibilities, daily routines and other commitments we start neglecting on our beauty. Generally, this happens when we enter in to our 30's. But with little care and time spent for ourselves we can look younger than our age and surprise our family. A team of researchers in 2014 from International Institute started their analysis on factors of age determination till the life time. According to the study age is just a number and it depends upon the way we think, positive thoughts, being happy also helps to look younger. Look younger without any chemicals or makeup with these beautiful tips.Let's see few amazing do's and don'ts for How to look younger than your age ? As we all know exercise will always make good for us and acts as our best friend and helps us solving any sort of problem. Here also exercises like running, jogging, yoga, skipping will surely help us to look younger than our age. Every day one hour exercise will definitely improves health, gives extra energy. This tip may look a little weird and you may doubt us. By studies have proved that white teeth will make our body to appear young when someone sees us. Every human should get minimum 8 hours sleep per day to make body functionality properly. As sleepless days will be drowsy and doesn't allow concentrating on our works. Full sleep keeps body to recover from day time stress. This will remove the stress buds and keeps our mind and body younger. Cleansing and Moisturizing your body every day before going to sleep will keep your skin, face, hands and other body parts fresh, smooth and clean. Make sure to use organic home made products for instant results. Beat your stress with being happy, confident. Body metabolism will be disturbed when stress is high which removes skin glow. So much of stress will create wrinkles, dark circles which makes us look older than our age. Do meditation to control your stress. Sit idle at least for 5 minutes every day to calm your mind from many unwanted thoughts. Keep yourself away from negative thoughts and negative people. Take the right diet to lose weight. When a person gains weight first it effects and visible on face which leads to look older than our actual age. Proper diet followed every day will lose weight and we look younger. Eat healthier foods and maintain appropriate diet. Balanced diet gives a healthier life. Eat good food, take fresh fruits, and consider plenty of leafy vegetables. Along with daily food make a habit of eating dry fruits, honey, and warm water with lemon to look younger. Add plenty of vitamins, proteins, nutrition to your food, specially vitamin C will stop developing wrinkles. From our childhood we are listening this. Still water is the best medicine to every problem. Here also water helps to clean skin from dead cells, brings glow and softens the skin. Water removes toxins and removes excess oil from the body. A substance called glycation is present in sugar which reduces skin elasticity by damaging collagen in skin. This will form wrinkles, dullness in skin. Intake of excess sugar will decrease the body activity. Smoking every day will cause wrinkles, dullness in the skin, changes the color of teeth and nails into yellow. By smoking a person loses glow and looks older than age. It also can cause cancer and affects our internal body system. Drinking excess alcohol or daily drinking will leads to many diseases. The more alcohol we consume, the older we look. Limit your drinking. You can drink red wine, but it should not cross more than a glass, as red wine improves skin quality. Avoid foods like burger, pizza, cool drinks and other stored food which are man-made. These foods take more amount of time to digest and change the digestive system functionality. This will lead to man direct and indirect health issues. Limit yourself from eating these types of food. Then only we will be healthy, when we are healthier we look younger. As we age many things will change accordingly, we look older but we never should be depressed always carry a smile on your face, confidence in your body, positivity in your thoughts. These will surely make us to look younger forever. I hope this article on How to Look Younger than Your Age is helpful to you. Every person is beautiful either they are young or old. If you follow these tips, you will surely gain self-confidence, positive energy. Make sure to smile at any situation and face it. 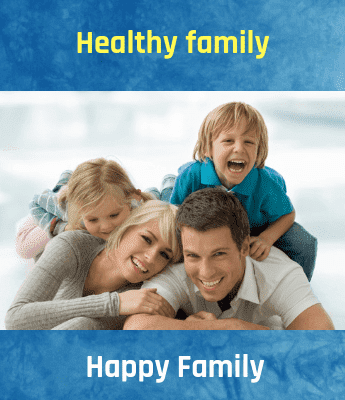 If you love this article kindly motivate your dear ones by sharing it. Keep Smiling! Be happy! Stay Blessed! "Share your advices here on this post"